Do you find yourself having these big dreams but feel too scared to go after them? 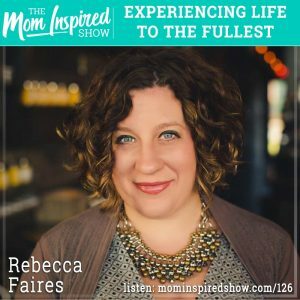 Today we have Rebecca Faires on the show and we talk all about adopting internationally, traveling with kids in a bus, and dealing with grief. Rebecca shares with us how her and her husband decided to freelance so they could travel in a renovated bus and homeschool while pursuing their writing careers. We talk about her journey of adopting her two boys from Ethiopia and realizing when they got back to the U.S. that they were pregnant and were going to have 4 kids under 4! One story that stood out to me is when she was sharing about her new book on grief, how it’s so important to grieve and sometimes we just don’t know how to offer comfort to others when they are grieving. Hear what she says about this topic and more on the podcast.